Refinance your auto or RV loan with Members 1st If we can’t beat your current interest rate by 2%, we’ll pay you up to $500. Hurry, this offer available for a limited time. 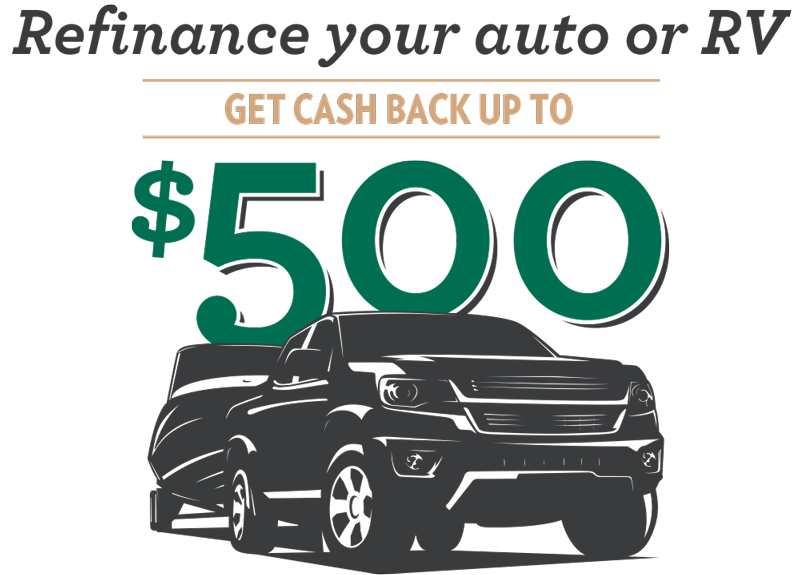 Swap your auto loan and save up to $500 when you refinance with us. Enter your existing vehicle loan information to see how much you can save by refinancing with us. *2% discount will be applied to the interest rate and will only be offered on loans that meet credit union underwriting criteria. If Members 1st cannot beat your current vehicle loan rate by 2%, a credit up to $500 is offered based on the following loan amount tiers: $5,000–$19,999 receives $100, $20,000–$49,999 receives $200, and $50,000+ receives $500. Credits may be applied up to 30 days after Members 1st funds the approved application. A current loan statement from your lender is required. Auto loan proceeds may not be used to refinance existing Members 1st auto loans. Subject to change without notice.